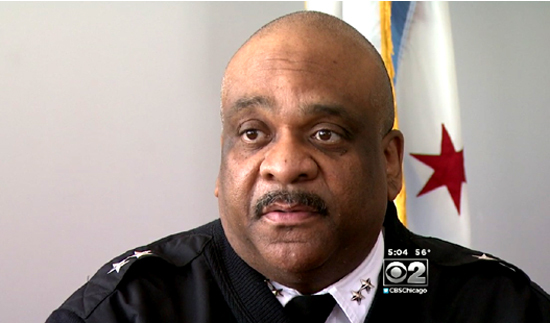 Eddie Johnson is the current superintendent of the Chicago Police Department. If you read the news, you know this guy has been named to one of the most high-profile police leadership posts in the country. That means looking out for all your people, both retired and on the job. A retired female Chicago police officer barricaded herself in her house yesterday, which led to a SWAT standoff. She said she’d only give up and come out if she could speak with Johnson. So, he made his way to the scene, was briefed by SWAT, and went in. A short while later, the two of them came out, and no one was hurt. Police executives like Johnson don’t often find themselves in the middle of a standoff. But Johnson’s a career cop and apparently knows a thing or two about de-escalation. This guy sounds like the kind of supervisor we would all follow to Hell and back. God love him and may our Brotherhood be blessed with more like him.